Very sad news broke last night that the legendary songwriter, singer, and writer Leonard Cohen had passed away at 82. Cohen began his career as a daring young Canadian poet and novelist, before switching to writing and performing music in the 1960s. Not surprisingly, he is considered one of the most literary figures in popular music history. 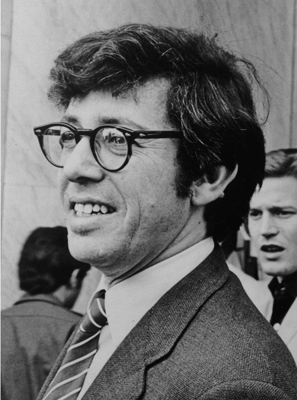 It may be surprising, however, to hear that Cohen had a close tie to the New York School of poets, but he did, thanks to his friendship with Kenneth Koch. Cohen and Koch fortuitously crossed paths on the Greek island of Hydra in the early 1960s, when it was a bohemian enclave of ex-pat writers and artists, and the two became good friends. At the time, Cohen was a poet and not yet a rock star, and Koch watched his later rise to fame with some surprise and bemusement. I met Leonard Cohen on the island of Hydra in Greece where Janice and Katherine age five and I had gone for a summer vacation. And we became very good friends. We traveled also to Turkey together, to Istanbul. I liked Leonard a lot and so did Janice. We saw each other then a few times after that, it was nice and intense, but never more than a day. After some years, we were already living on West 4th Street, Katherine must have been ten by then. I ran into him on a bus. “Leonard!” I asked him what he was doing and he said, “Don’t you know? I’m a singer.” He had been a poet and a novelist. I got him to tell me all about it. I invited him over to our place and he told me I should become a singer too. I should sing all my poems. It was wonderful because you met lots of women and made a lot of money and you got to travel around and it was very satisfying to sing your poems. I said, “That’s great, Leonard,” and of course I was interested. 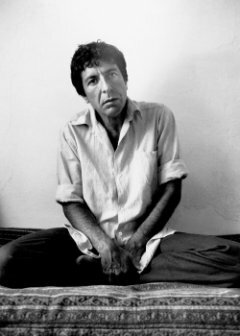 I said, “Leonard, I can’t sing.” He said, “What do you mean?” I said, “I can’t carry a tune.” He said, “That’s good, that means no one else will be able to sing your stuff.” And I said, “Well okay, but also I don’t play an instrument.” He said, “You can probably learn — let’s try.” There wasn’t anything that made noise except a vacuum cleaner. I plugged in the vacuum cleaner and I thought I’d be more in the mood to sing if I stood up on a chair. He said, “Sing one of your poems.” I said, “There’s no music to any of my poems.” He said, “That’s okay.” I sang, with intermittent noise from the vacuum cleaner, “You were wearing your Edgar Allan Poe printed cotton blouse” in a hillbilly voice. Leonard interrupted me after a few bars I think they’re called — “You’re not serious.” Well there I was standing up on a chair and playing a vacuum cleaner. I stopped playing the vacuum cleaner and tried to be serious. He said, “I don’t believe you. Who are you singing to.” “Leonard, I’m singing to you, there’s no one else here.” “No — who in the audience. Who do you want to go to bed with after the show? Who are you addressing? Who do you want to like you?” “Twenty-two year old women.” “No. Everybody wants 22-year-old women. Sing to somebody else. You know who I sing to? 14-year-olds and 40-year olds.” I’m not sure those are the exact numbers — something like 14 and 40. I said, “Okay, I’ll try to sing to 14 yr olds.” But trying to sing my poems? It didn’t work too well. I said I’d try. At my age how can I get started? I can’t carry a tune I don’t play an instrument and I’ve never sung before. I was already 40 at least by then. “There’s one way you can help me.” And he said, “Anything, what is it.” “Are you going to have tributes on your sleeve, put me on the record jacket. Say, ‘Even the legendary Kenny has come out of retirement to praise Leonard Cohen.’” I figured that people who respond to this kind of thing are not exactly scholarly. He promised he would put this on the record cover. Months went by. I never heard from Leonard. I did receive from him this big rectangle, his record. On the cover was this girl (I don’t know if she was 14 or 40) rising from flames, somewhere in between, and on the back was Leonard, his lyrics, and no tributes. And no Kenny, and that was the end of another career, another attempt to become rich. OK, this is it! I thought, I’m going to live here forever, painting during the day and grilling lamb for my friends in my courtyard in the evening. We’re going to laugh a lot, wear sandals, live in white houses above the harbor and listen to Leonard play songs on his guitar. Leonard Cohen, a young Canadian novelist and poet, sometimes played guitar and sang. He had been living on Hydra since the spring, and was in love with Marianne Ihlen, whom he’d met there just a couple of months before we met them. Marianne was beautiful, I remember, and later on I associated her angular, sweet blondness with Mary Travers of the singing group Peter, Paul & Mary. I thought Leonard was wonderful, good-looking, looking a little like my father. He had an atmosphere about him, courtly and funny, sharing his good humor with me. We gave each other nicknames we never forgot: Boodie Leonard and Boodie Katherine. The gesso incalcations on the cliff. For decades, Leonard Cohen has been inviting us too to come and see, through the endless stream of his indelible songs and and moving words. He will be sorely missed. This entry was posted in In Memoriam, Kenneth Koch, Leonard Cohen, Music, Uncategorized. Bookmark the permalink. Thank you for this humorous vignette from the history of two of my heroes. A vacuum! On a chair! To a Poe blouse! You’re welcome — two of mine as well!